You know how they say the cure for anything is salt water, be it sweat or tears or the sea? I believe that whole heartedly. I often find myself going to the sea for a bit of alone time, and I always walk away feeling extremely relaxed and rejuvenated. There is something quite magical about the sea, it's one of my absolute favorite spots to be, and right up there for as one of my favorite spots for maternity photoshoots. 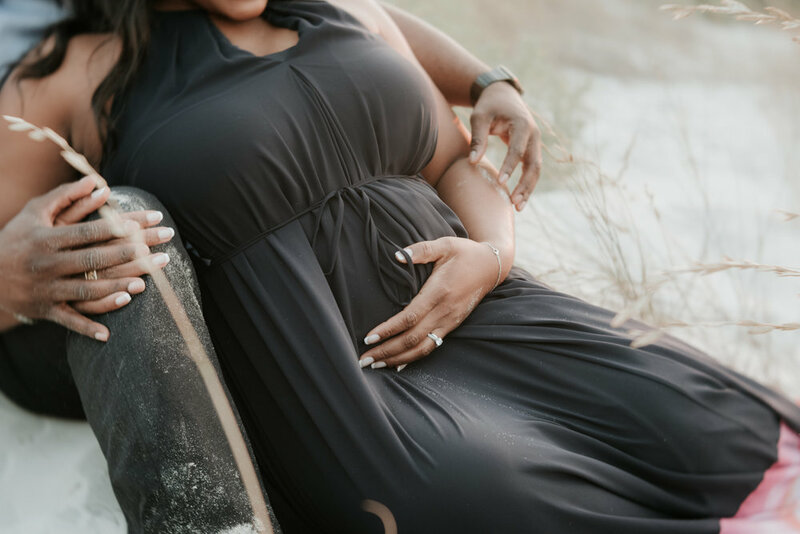 The backdrop is simple, there is not much distraction, which draws the perfect attention to the expecting couple and that big, round, gorgeous bump! For this particular session, I drove up to Abu Dhabi to meet Kristina and Dewey. We split the session into two parts, and we shot first in their apartment, then made our way downstairs to the ocean. Kristina and Dewey are blessed to be living really close to the ocean, so it was a wonderful walk for the three (actually four!) of us together! Kristina and Dewey, by now you know how much love I have for the both of you. Thank you so much for inviting me into your life and for trusting me with your family's most important milestones.